This grocery haul post contains affiliate links at no additional cost to you. Thank you so much for supporting Pennies Into Pearls by using my links! Welcome to 2019!! Whew, what a whirlwind last year was. We’ve had so much happening with our family, and this Pearl Team keeps growing and growing, which is so exciting! Today, lets talk meal planning and grocery haulin’! Do you remember last month, when I cooked freezer meals for 2 months?! That was a crazy few days, but now I am so happy I did it, because for January I will not have to cook a thing from scratch! I just need to reheat the meals I have already made. SCORE! This month, we are going to review how month two of this fun little experiment is going. If you’re interested in snagging a copy of Seriously Good Freezer Meals (the cookbook I used for my freezer meals), click this link! Don’t know where to start? Pearl! I got you! Make sure you read this article on how to meal plan for beginners. In there you will find all the tips you need to make sure that you plan to the best of your ability and stay on budget! I’m also always sharing our daily frugal living tips for summer survival over on my Instagram stories! It’s super fun over there so don’t forget to follow along! If you are new here, hi! 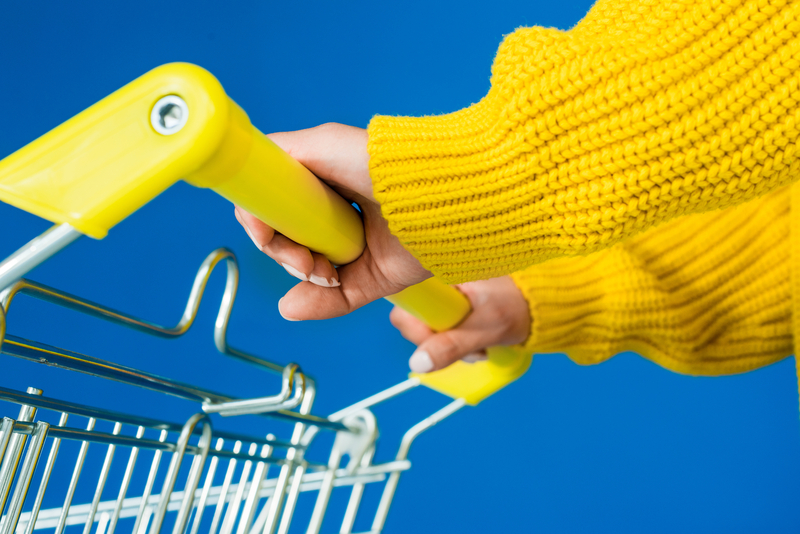 You are probably interested to know what we set for our monthly grocery budget. This is how it’s broken down. When I first started kicking bootie at the grocery budget game we only spend $300 in our monthly grocery haul. That covers all groceries that can last in the fridge, freezer, or pantry for 30 days or longer. We also budgeted $25 each week for fresh produce and milk. All that takes is a quick 15 minute trip once a week! Lastly, we budgeted $160 for all other household needs that are not food. Things over the past few months things have changed a bit and we are experimenting with bumping up our budgets and honestly, I think we will lower them back down soon. When you are figuring out your grocery budget, it’s all about trial and error. The key to sticking to monthly meal plan on a budget is to use cash! Remember that stuff? Seriously, cash is T-H-E single tool we use that has helped our family cut our food budget from $1,000 to only $400 a month! It is statistically proven that when you use cash you spend less money. It is such a powerful visual reminder that the dollar number you are spending is coming from your pocket and not an imaginary never ending bank account. 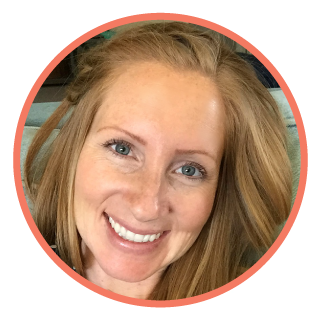 Using a cash envelope system is exactly what keeps our family on track with our budget every single day! When using this system every dollar you pull out of your wallet is coming directly from a categorized budget. You visually see money leaving your pocket and that gets you thinking twice about your purchase. “If I buy this now, I won’t have enough to buy _______ later.” You have to weigh your wants with your priorities. No mom has the time to spend continuously scanning apps over the holidays looking for the best rebate offers and sales. Which is why I have minimized my rebate strategy to help maximize my savings in the smallest amount of time. My very favorite app to us is Ibotta! I have done an entire tutorial on how to use the app to maximize your savings. But in a nutshell this is how I do it, I do my normal grocery shopping first. Then once I get all my groceries home, I will quickly open the app and search the two stores that I just went shopping at to see if there are any rebates that apply to my groceries. There are usually 3-4 that I can claim. This saves me around $5 each time I use the app. If that doesn’t sound like much, trust me! The three minutes that it takes me to save $5 is 100% worth it! These small savings add up quick and once you hit $20 you can cash out in PayPal or Venmo, or choose from a bunch of really awesome gift cards! I usually choose Target and treat myself to a well deserved “mom’s only” snack! If you are new to Ibotta, sign up using this link and you will automatically get $10 after you claim your first rebate! So easy! Made double freezer meals last month so I don’t have to cook at all this month! Used this cookbook to make this all possible. 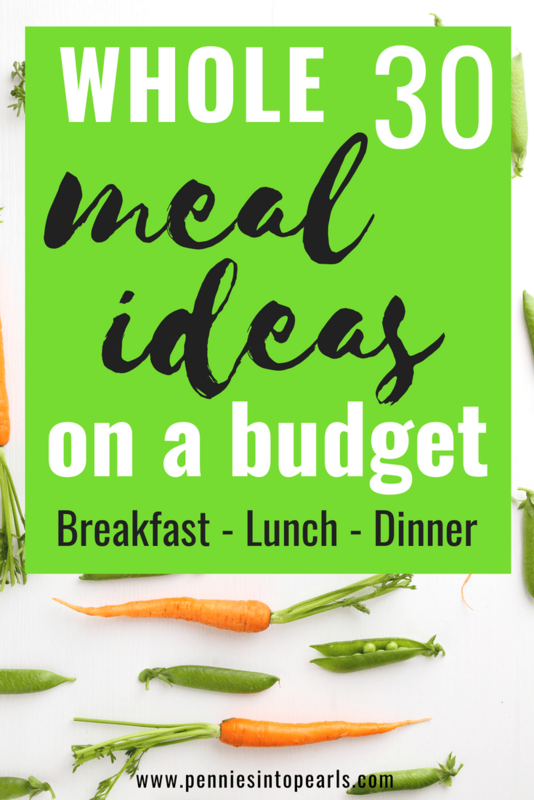 You can download this month’s budget friendly meal plan here. This month’s grocery haul is very different from normal! Because I made and shopped for all meals last month, I don’t have any meal prep groceries to buy this month (other than fresh). You won’t believe how much money we saved by prepping our freezer meals this way! You have to watch the video to find out! What should we do with the savings? I’m thinking about using it towards stocking up on meats next time I see a good sale! So really all that is left for this month’s grocery haul is to replenish any needed kitchen staples, snack foods, breakfast, and lunch supplies. That’s about it. Take a look at the video to see what we bought this month plus the number breakdown! I’d love to hear any questions you have! Leave them down in the comments below! 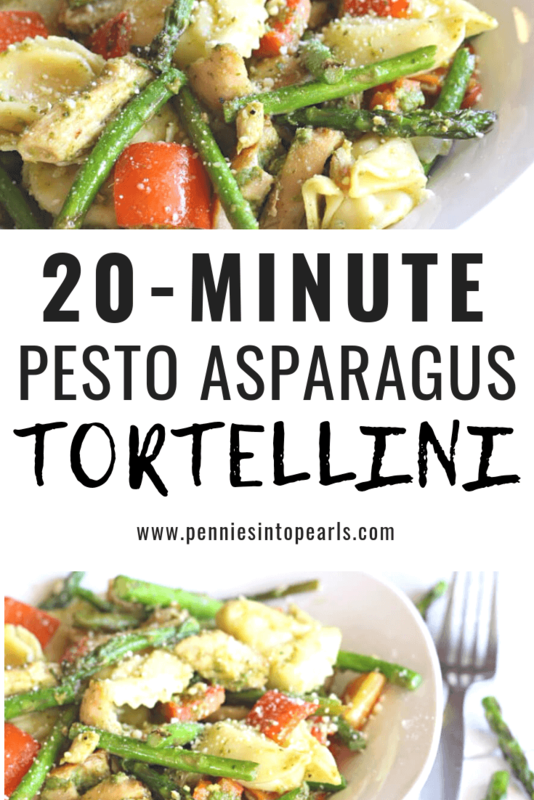 Tonight its a 5 ingredient dinner that will be on the table in under 20 minutes! 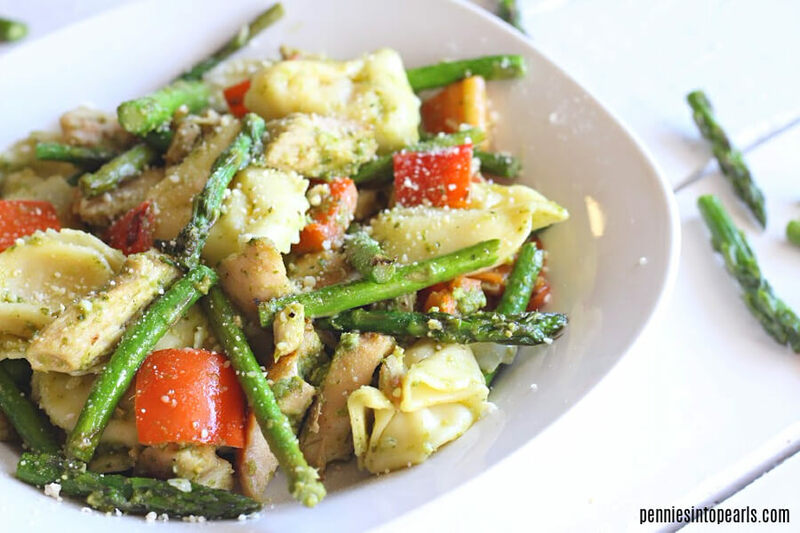 This easy dinner idea is a family pleaser for sure! 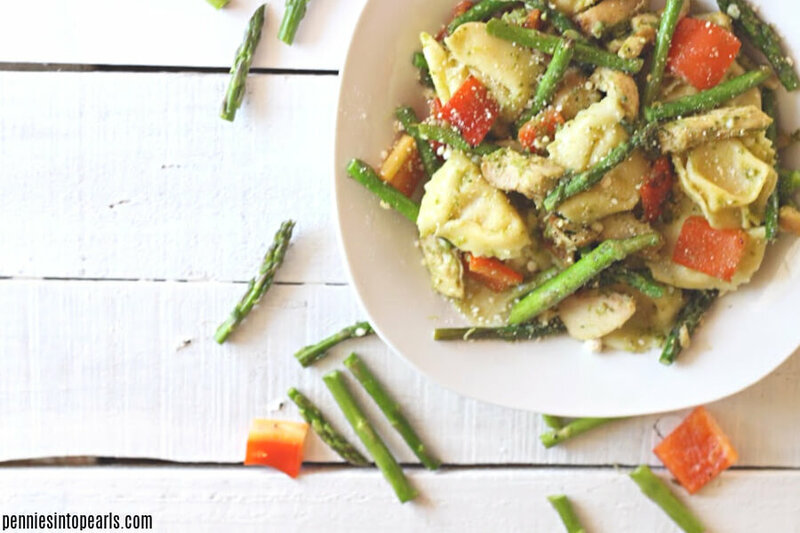 Leave the veggies cut into large pieces making it easy for your picky eaters to scavenge around. This quick dinner idea is going to take you under 20 minutes to whip together and less than $5 to feed your family! 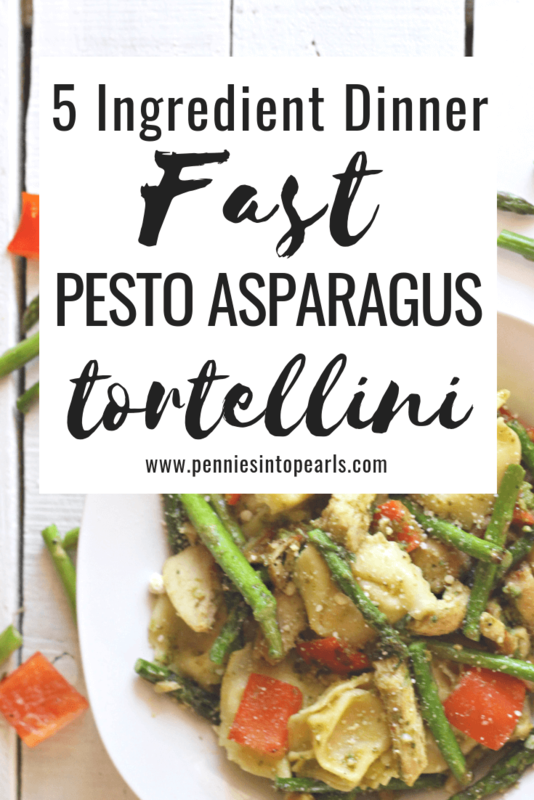 Pesto tortellini is perfect for busy nights where you feel like there is no time to cook but the drive thru is not on the meal plan! The hardest thing you will be doing for dinner tonight is boing a pot of water! You can do it! Oooh! This would also make a super good on-the-go meal idea! Bamboo Mixing Spoons that my brother got me for Christmas over five years ago and I still use them every day! I use a Rubber Spatula in almost every recipe I am making. We are still using the same Non-Stick Pot that my grandma got us for our wedding almost 12 years ago and we love it! Insulated Carrier for On-The-Go Meals. Share Your Dinner on Instagram! I would love to see how your family likes your dinner! 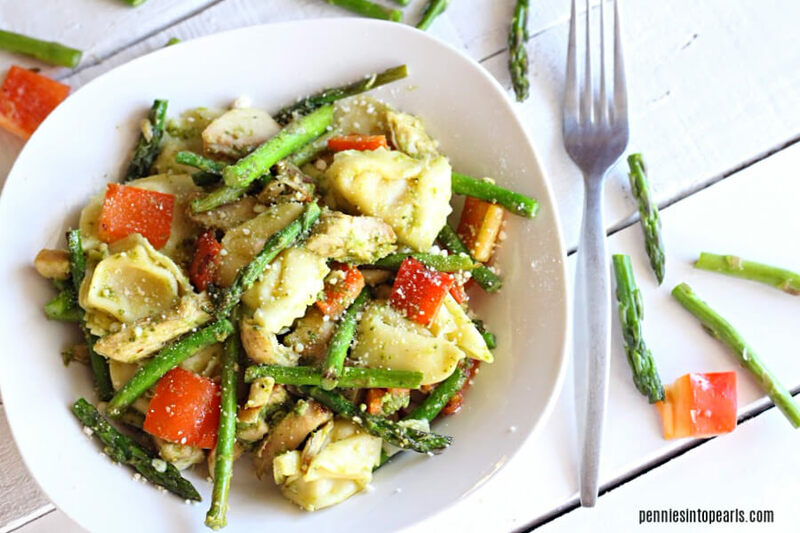 Share a picture of how your easy cesar pasta salad recipe turns out and tag me on Instagram @PenniesIntoPearls. Cook tortellini as package directs. Once tortellini is cooked and water is drained, in a large bowl combine all ingredients. Immediately serve and top with your favorite italian toppings. Any task that you repeat over and over needs to be batched! Are you repeatedly making sandwiches for lunches over and over again? It’s time to stop! Let me show you how to make a whole lot of lunch freezer sandwiches at one time to help you save a bunch of time in your week! I was first introduced to the idea of lunch freezer sandwiches from my friend Stephanie from Six Figures Under. She always has the best money and time saving tips! There is a huge myth that I am on a mission to bust! Have you ever been told, or maybe told yourself, that it’s impossible to eat healthy on a budget? In this month’s free meal plan printable and grocery haul I am going to prove that thinking wrong! The biggest influence on this month’s healthy meal plan is that Hubby and I are currently undertaking our first ever Whole 30. If you aren’t familiar with the program, pretty much all you eat for 30 days is meat, eggs, a lot of veggies, and some fruit. That’s it. What mom isn’t all about easy dinner ideas that their entire family will happily eat? Exactly! All moms need a quick, easy, and cheap dinner. 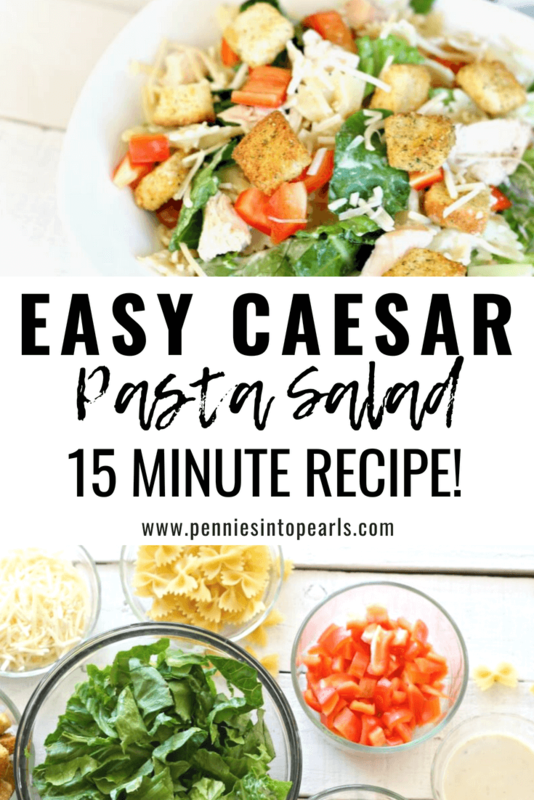 Which is why today I wanted to share with you my Easy Cesar Pasta Salad Recipe! This recipe won’t heat up your kitchen, it’s easy on your wallet, and you can pull it all together in about 15 minutes! 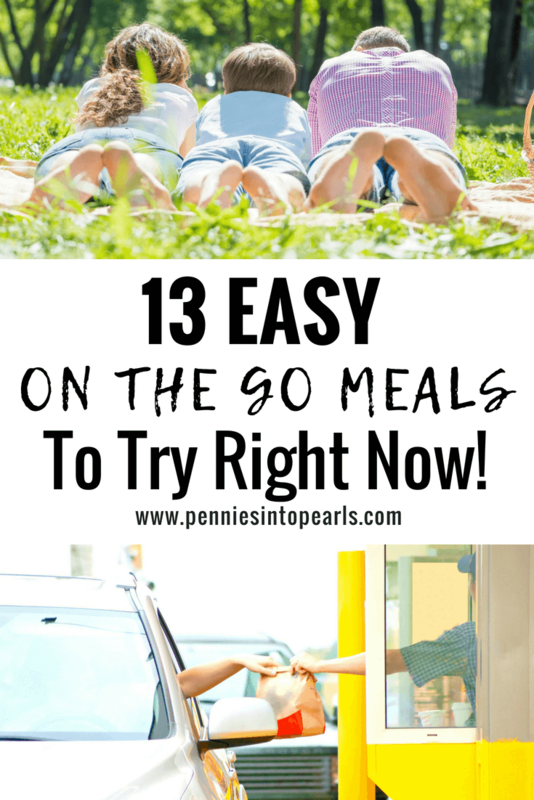 Any other Pearl moms out there that feel like they are always in need of easy on the go meal ideas? It doesn’t matter what time of year it seems to be, it is always a good idea to have some on the go dinner ideas on hand. This post contains affiliate links at no additional cost to you. Thank you so much for supporting Pennies Into Pearls by using my links! This post is sponsored by Hello Fresh. Thank you so much for supporting Pennies Into Pearls by using my links. Xoxo! Who wants a giant package full of healthy and delicious food delivered right to your front door? Who doesn’t want to think about what to make for dinner? Wrap all those things up into one cute white and green box and you have successfully described my experience with my first try of HelloFresh! There is some truth to the rumor that eating healthy can be so expensive. The truth comes when you don’t take a few minutes to search out the sales and coupons. As I was wondering around the dollar store in search of some last minute party supplies (I throw awesome parties on only a $50 budget! ), I started to notice that there were quiet a few options when it comes healthy snacks at the dollar store! When you find a recipe that is quick, easy, delicious, and healthy… You make it a staple in your monthly meal planning rotation! It’s a pretty cool story of where I got the original recipe for this pad thai meal.